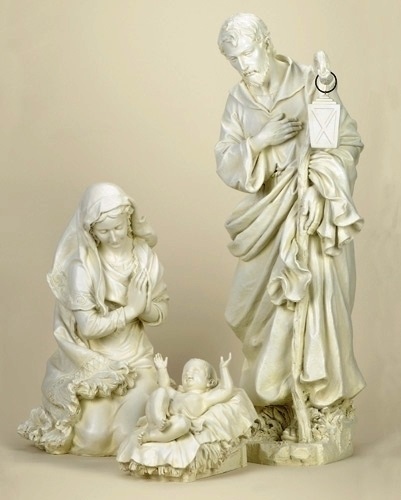 This beautiful Holy Family in ivory color is reminiscent of marble. Each figurine is gracefully crafted with profound attention to detail from the Joseph Studio Collection. This large scale nativity piece is perfect for your church, school or home. Made of a resin stone mix. For 27 inch scale Nativity Set.